This chemistry mole would be better suited as a mascot for Mole Day than the actual mole unit. On October 4, 1971, the General Conference on Weights and Measures (Conférence Générale des Poids et Mesures, CGPM) officially added the mole as a base quantity of the SI units of measure. According to Resolution 3 of the 14th meeting of the CGPM, a mole is the amount of a substance of a system which contains as many elementary entities as there are atoms in 0.012 kilograms of carbon-12. The number of elementary particles in one mole is equal to Avogadro’s number. The current best value for that number is 6.02214129(27)×1023. The CGPM also decided when a mole should be used. The elementary entities described in the definition must be specified and may be atoms, molecules, ions, electrons, other particles or specified groups of particles. The mole is supposed to be applied to these types of particles, but can easily be applied to other objects. Some with humorous effect such as 6.022×1023 avocados = 1 guacamole. The mole is also the only SI unit to have its own holiday. 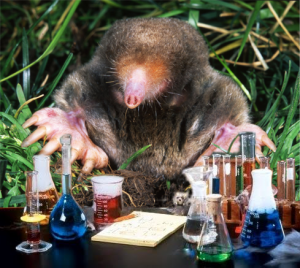 October 23 (10-23) is known as Mole Day to chemists. The more precise celebrants observe the holiday from 6:02 am to 6:02 pm. 2000 – Michael Smith died. Smith was a Canadian biochemist whose research into oligonucleotide based site-directed mutagenesis earned him half the 1993 Nobel Prize in Chemistry. Site-directed mutagenesis is a technique where a mutation is created at a specific, defined site in a DNA molecule. This work is important to genetic and protein research and engineering. 1971 – Mole officially adopted as an SI base unit. 1957 – Soviet Union launches the first artificial satellite into orbit. The Soviet space agency launched Sputnik 1 into orbit to become the first artificial satellite. This success is considered the beginning of the Cold War’s Space Race between the Soviet Union and the United States. The football sized satellite broadcast a radio signal during its 98-minute orbit for 22 days until the batteries ran out. 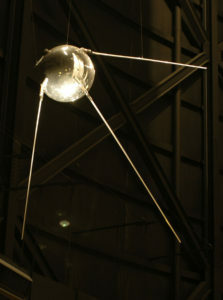 Sputnik 1 re-entered the atmosphere and was destroyed on January 4, 1958. 1938 – Kurt Wüthrich was born. Wüthrich is a Swiss biochemist and physicist who was a awarded half the 2002 Nobel Prize in Chemistry for his development of nuclear magnetic resonance (NMR) spectroscopy to determine the three-dimensional structure of biological macromolecules in solution. NMR spectroscopy was initially used on small molecules. The sample would be set in a strong magnetic field and radio frequency waves would bombard the sample. When the radio waves hit the sample’s hydrogen atom nuclei, a secondary radio wave would be emitted. When these frequencies were analyzed, the three-dimensional structure could be determined. Wüthrich adapted this technique so it could analyze much larger and more complex biological molecules. 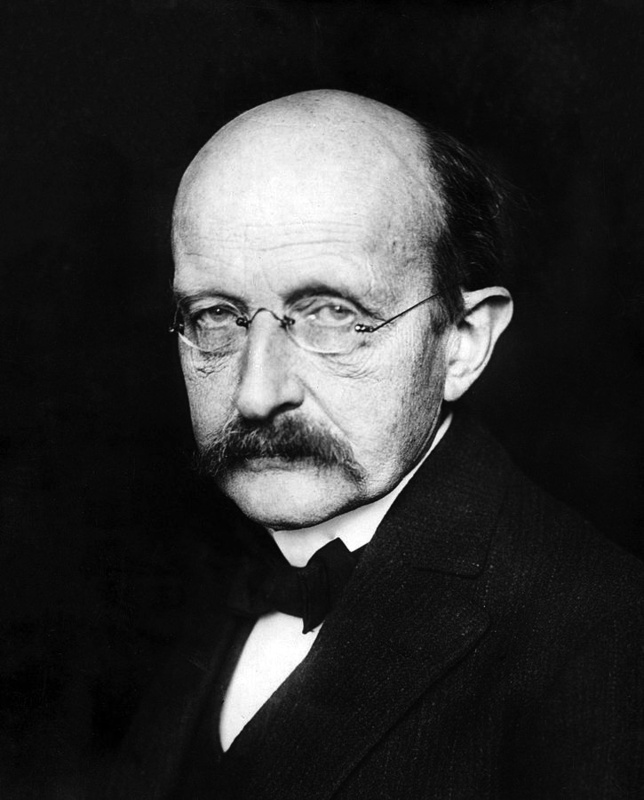 1947 – Karl Ernst Ludwig Marx (Max) Planck died. Planck was a German physicist who was the founder of quantum theory. He related the frequency of light emitted by a black body to its energy by the equation E = hν, where E was the energy, ν was the frequency and h was a proportional constant named after himself. This work did not fit in with Newton’s classical mechanics and combined with Einstein’s new special theory of relativity became the basis of quantum theory. He would be awarded the 1918 Nobel Prize for this new field of physics. 1918 – Kenichi Fukui was born. Fukui was a Japanese chemist who shares the 1981 Nobel Prize in Chemistry with Roald Hoffman for their independent research on the mechanics of chemical reactions. Fukui’s research centered on the outermost electron orbitals of a molecule and their change in shape when they bond during a reaction. He also investigated the reactions involving molecular nitrogen with transition metal complexes. 1916 – Vitaly Lazarevich Ginzburg was born. Ginzburg is a Russian physicist who shares the 2003 Nobel Prize in Physics with Alexei A. Abrikosov and Anthony J. Leggett for their contributions to the theory of superconductivity and superfluids. 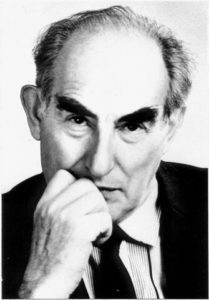 He developed a theory with Lev Landau to explain the macroscopic properties of superconductivity in terms of thermodynamics. He also explained the propagation of electromagnetic waves through a plasma and the origin of cosmic rays.